Laboratory Design and Construction is your nationwide Labconco equipment reseller. 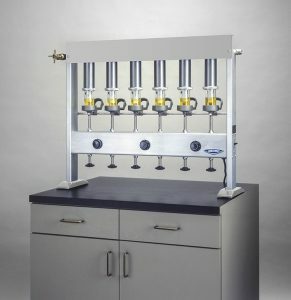 Are you building or improving an extraction lab (cannabis or other)? Contact us today! 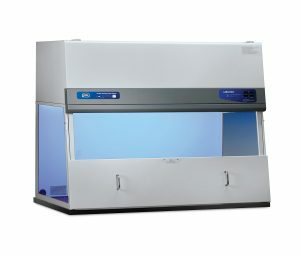 One piece fiberglass lining resists broadest range of laboratory acids and organic solvents, making this 4-foot benchtop hood ideal for most laboratory applications. Install on existing counter surface, or choose from supporting bases including Acid or Solvent Base Cabinets and Base Stands. Protector Premier Hood is also available in 5,6 and 8 foot widths. The hood requires a remote blower; models with built-in blowers are also available. Work surface sold separately. Simple in design yet fully featured with by-pass air flow and convertible built-in or remote blower package, the Basic Hood is an excellent choice for applications with organics and low corrosive agents. Not as deep or as tall as the Protector series, the Basic Hood fits in narrow and confined spaces such as mobile labs. It is available in 4 and 6 foot widths. All hoods require a work surface (sold separately). 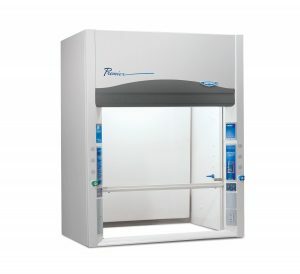 Base Cabinets provide support for the full line of benchtop Labconco fume hoods. Cabinets may be mixed or matched so that their total width equals the width of the fume hood they support. They may be used for storage and venting of laboratory instruments and raegents. 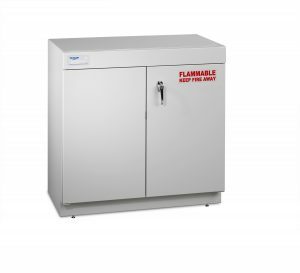 Special-use cabinets available include Acid Storage Cabinets for corrosive liquids, Solvent Storage Cabinets for flammable liquids and Vacuum Pump Storage Cabinets. 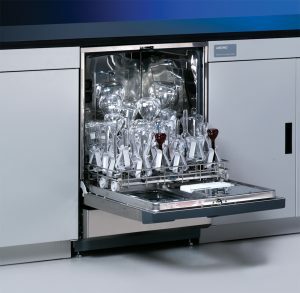 Labconco laboratory glassware washers have specialized features to meet the demand for superior cleaning and convenience including high heat programs (230V models) and an on-board steam generator for thorough removal of extraction oil residue. The FlaskScrubber® has a spindle rack that holds up to 36 pieces of primarily narrow-necked glassware such as volumetric flasks. The SteamScrubber® has top and bottom racks that accommodate accessory inserts for a wide variety of glassware shapes and sizes, primarily beakers and other wide-mouth glassware. All racks are interchangeable among washers. In addition, a wide number of accessories baskets and racks are available. 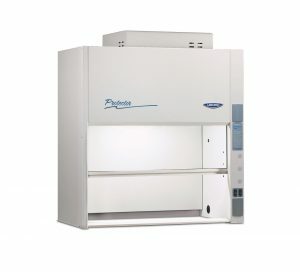 The evaporator is ideal for preparation of samples in a variety of applications including drug discovery, agrichemisrty, mycology testing and environmental analysis. Its dry block and vortex motion speeds evaporation of multiple samples. Water evaporates at a rate up to 0.75ml/minute/tube. Methylene chloride evaporates at a rate up to 4.8ml/minute/tube. Choose from 12 different, interchangeable accessory blocks holding sample volumes from a few milliliters up to 450 milliliters per tube (8 x 450ml = 3.6L) and various tube types. As many as 110 each 12 or 13 mm tubes may be loaded at once. Ask for model 7900000 RapidVap Vacuum and 7348000 Blocking Valve. Durable powder-coated tubular steel carts are available in a variety of styles. Choose from Glassware Carts, Mobile Equipment Tables, Flexi-Bin Carts, Portable Table, Chemical Cart, Pan Cart, Stainless Steel Cart, Instrument Desk, Mobile Bench, Carboy Caddy, and Variable Height Mobile Bench. The Stockroon Cart combines a two-step ladder and cart. 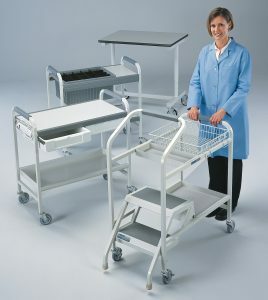 All Labconco Carts and Benches have a lifetime guarantee. 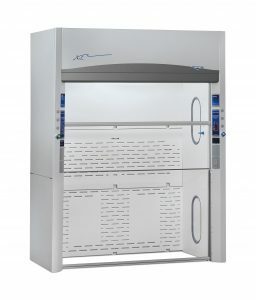 Protector XL Floor-Mounted (Walk-In) Laboratory Hoods have corrosion-resistant fiberglass panel liners and supplied in three depths. They are suitable for general chemistry applications and accommodate oversized equipment, such as multiple extraction systems. Explosion- proof models are available. Models with horizontal-sliding sashes provide increased loading height, ideal for applications requiring distillation racks, extraction apparatus or large drums and carboys. These hoods are supplied in 8,10, 12 and 16 foot widths. Models with vertical-rising sashes accommodate laboratory procedures that require maximum working height. Testing confirms these vertical-rising sash hoods meet the SEFA- 1 standard of a low velocity, high performance hood. Vertical-rising sash models are offered in 4, 5, 6, and 8 foot widths. 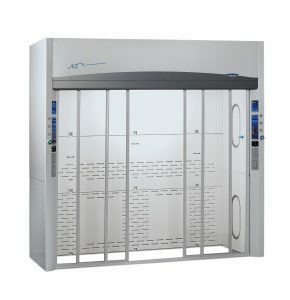 Hoods are available with or without pre-plumbed service fixtures and pre-wired electrical receptacles. All hoods require a remote blower and ductwork (sold separately). 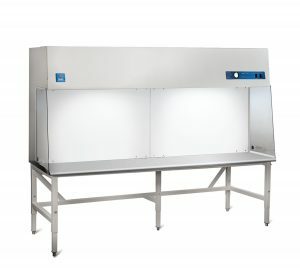 These clean benches provide a HEPA-filtered environment that maintains ISO Class 5 (formerly Class100) conditions to protect samples from airborne contamination. Because they do not provide protection to the user, they should not be used in conjunction with biohazardous material, toxins or radionuclides. They are suitable for applications such as tissue culture/plant cloning, media place preparation, electronics inspection, medical device assembly, pharmacy drug preparation and IV solution preparation. Horizontal Clean Benches direct air horizontally over the work area. They include a brushed stainless steel work surface and an optional UV light with variable digital timer. They are offered in two depths, standard and deep, and 3, 4 ,5 ,6 and 8 foot widths. Vertical Clean Benches direct air down over the work area. They are offered with an optional airflow monitor, UV light with variable digital timer and choice of work surface materials. Models are available in 2, 3 and 4 foot widths. Polishing systems and Type III reverse osmosis (RO) systems provide point-of-use pure water via carbon filtration, deionization, organic adsorption, ultrafiltration, ultraviolet exposure and/or microporous filtration. They produce water suitable for water/ice extraction methods. WaterPro PS Polishing Systems deliver Type I water, up to 18.2 megohm-cm, from the dispensing valve or optional dispensing gun at a typical rate of 1.8 L per minute. Specialized models that produce low TOC of pyrogen-free water are available. 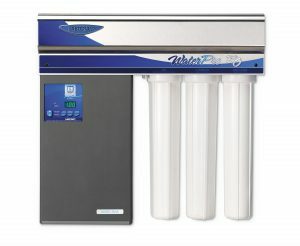 WaterPro RO Systems produce high-quality reverse osmosis (RO) Purified Type III water at a typical rate of 1 L per minute. RO purified water is ideal for applications such as reagent preparation and glassware rinsing. 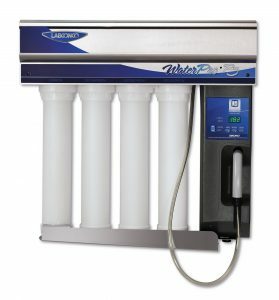 All models require applicable filters and cartridges (sold separately) as well as connection to feedwater and drain lines. 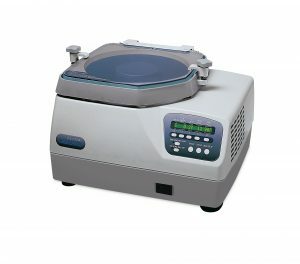 The Goldfisch Fat Extractor is used to determine fat and oil content in samples and is listed in AOAC methods. It is ideal for ether extraction of complete plant profile/terpenes. The Fat Extractor reduces extraction time from 16 hours to about four hours through its efficient refluxing system. Samples are placed between a boiling solvent and a cold surface. As boiling continues, the solvent vaporizes, condenses on the cold surface, and washes down through the samples into the boiling solvent below. It is recommended for use with solvents with boiling ranges not exceeding 85° C (185° F) and should be operated inside an explosion-proof fume hood.